Music: David Ellis "Welcome Matt"
What does fascism look like today in the U.S.? Where does the alt-right fit into this? How can it be fought?! 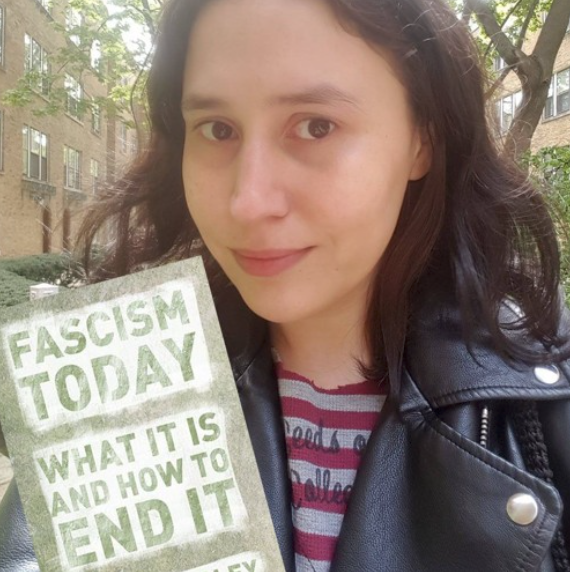 We sat down with Chicago-based Native abolitionist organizer, writer and co-struggler Kelly Hayes to discuss Shane Burley's book Fascism Today: What It Is and How to End It. Examining the modern fascist movement’s various strains, Shane Burley has written a super accessible primer about what its adherents believe, how they organize, and what future they have in the U.S.
2. What is the alt-right? 3. What is the role of misogyny in fascism? 4. What do the building stages of a grassroots fascist movement look like? 5. What does the left need to do defeat fascism?